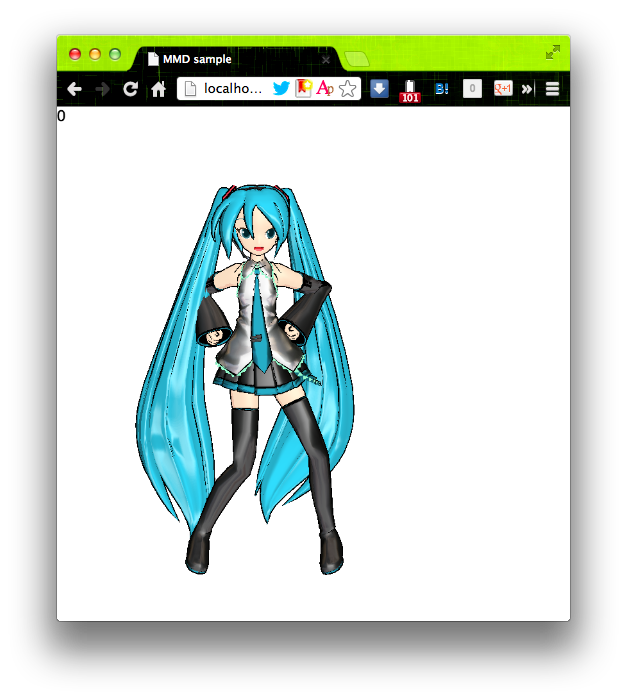 $ cp MMD.js/libs/DataView.js MMD.js/libs/sjis.js MMD.js/src/MMD.Model.js MMD.js/src/MMD.Motion.js libs/. $ cp -r MMD.js/model MMD.js/motion . * Animation will be played in the order that it is added.